I love breakfast! In fact, don’t tell my boss, but I would rather go in a few minutes late for work rather than skip it! So today I thought I’d share one of my favorite breakfasts. 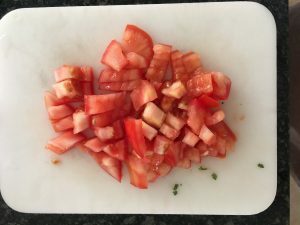 I like to cook them over-medium for this dish. 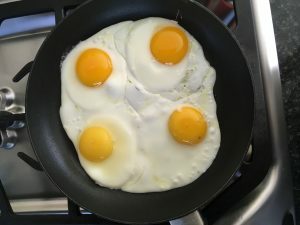 (It keeps the yolk from spilling all over you when you bite into it!) My trick is to put a lid on the pan right away. At the end of cooking, I sometimes add a few teaspoons of water to steam slightly. Or you can do a quick scramble. By quick I mean, crack the eggs in the pan, wait until they get set a bit and start stirring. 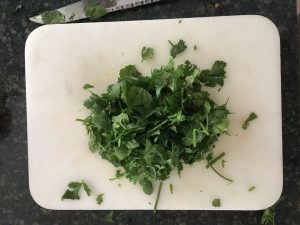 While the egg is cooking, do some quick chopping of cilantro (which was conveniently growing in the garden:), tomatoes and green onions. If you like it hot, add some chopped jalapeño or chile flakes. Next you need tostadas. 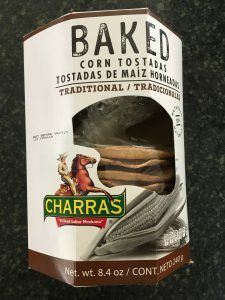 I’ve recently discovered Charras brand, which is baked and a bit thicker than other tostadas. But what I really like is the crunch. Either take them right out of the box or warm slightly by holding over the gas flame on your stove for a few seconds. 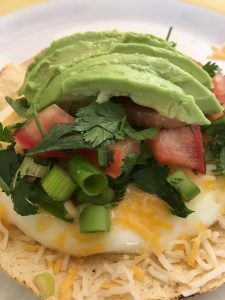 You can start layering your tostada with either the eggs, the cheese or refried beans. Don’t worry, out of the can is just fine! My hack for using canned is to stir in garlic powder and generous amounts of cumin. Heat in the microwave briefly if desired. 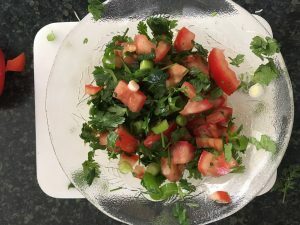 Add your tasty garnishes: chopped cilantro, green onion, tomatoes, pico de gallo, or salsa. Finally top with the “icing on the cake”, avocado. Squirt with a squeeze of lemon or lime but a bit of zing. If you’re in a BIG hurry, forget toasting the tostadas, use the beans right out of the can, and use chunky salsa instead of fresh tomato and cilantro. Easy peasy! And tada! 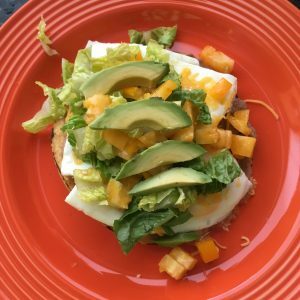 Quick Avocado Breakfast Tostada! On this tostada, I used beans and homegrown yellow tomatoes! Don’t you feel like taking a bite right now? « Can You Lose Weight While Breastfeeding? 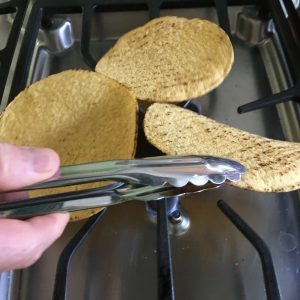 Those tostadas look super delicious and wholesome. Thanks Roxana–definitely one of my favorites! Bridget, this looks so nourishing and delicious! Definitely perfect for those of us in Texas, but can be enjoyed and appreciated by all. Nice recipe! Mexican food and eggs are some of my favorite things! This sounds great and those tortillas look perfect! Yes they fit perfectly together! Eggs and avocados are the best! I’ll have to look for those tostadas! What a great breakfast idea. This fellow Texan is eager to try this. Howdy neighbor! These can work for a small or Texas-sized appetite!! 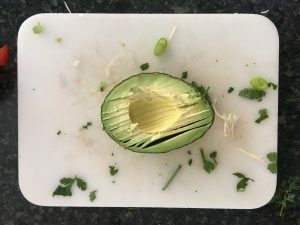 Seriously, avocado on anything wins me over. This one though…<3. 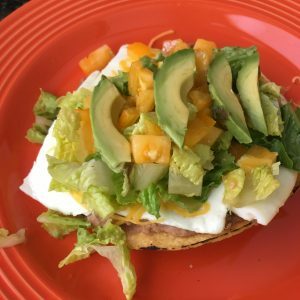 Breakfast tostada for the win! Love this! Going to make this for my next brunch event. Fun idea! It would be fun to let your guests add the toppings of their choice! These look so tasty!! 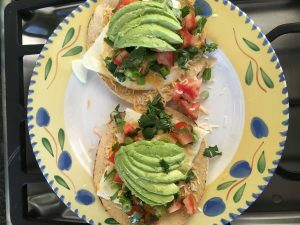 I love tostadas but I’ve never had them for breakfast – will be trying these soon! Great! Once you try them, you’ll be hooked! !